I apologize that It took me a while to get another post going – ‘m catching up on things that didn’t get done because of all the “weather” we’ve been having!!!! Enjoy all the pics from the February19th rescheduled card buffet. I’m so grateful to all the stampers who managed to come and craft in the sunshine!!! Karen (right) surprised us all with individual matchbook covers on post-a-notes! Rosie loved hers! This little truck was full of love…the washi tape made a perfect roadway! All from the BUTTERFLY GALA BUNDLE and the FREE BOTANICAL BUTTERFLY DSP. The beautiful, free and very popular organdy ribbon is sold out. Glad we had a little to finish these cards. BRUSHO demo with DIANE E.
Here is Dawn and her guest Pam with January Paper Pumpkin Kit – Be Mine Valentine- at the chocolate table. I think more chocolates were eaten than Valentine pillows made! It was a great Paper Pumpkin kit with 26 pillow boxes to fill….perfect for a classroom valentine celebration. MUST sign up by the 10th of the month to receive the MARCH kit. Look at these added benefits for pre-paid sign ups and be eligible to earn the SAB FREE products. PLEASE: Use the NEW HOST CODE G297JZW4 All orders of $50 or more get a free gift from me when you order on my site with a host code. Thanks for stopping by today…more to come next week! To all my Wisconsin friends…enjoy the blizzard – it’s coming down at 1 inch per minute as I write this!!! HaPpY Stampin’! HANGIN’ WITH LOVE… A Catalog Resource…New SAB FREE!!! HANGIN’ WITH LOVE: 3 choices of cards to make at the February buffet inspired by Su Mohr’s hanging hearts. She says those little red cardinals just love landing on the branches of your cards! Come see for yourself and make a last minute valentine or special birthday card with a hanging heart and a red cardinal. Lots of heart choices, paper and all sorts of branches ALREADY cut for you from the Wood Textured DSP!!! 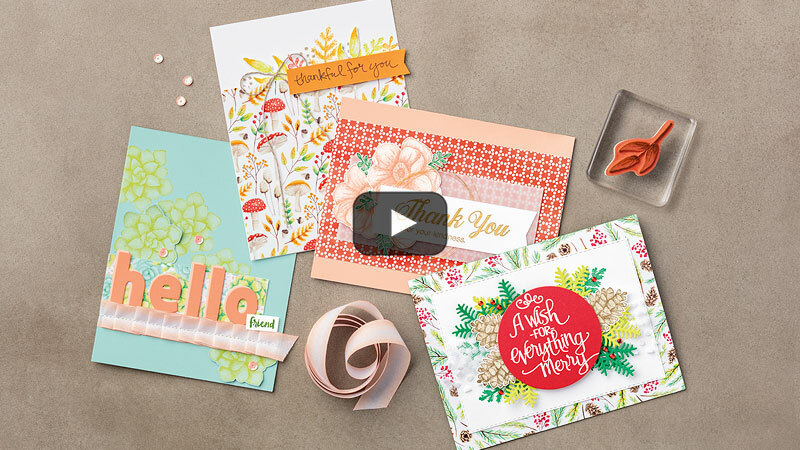 Change the sentiment to meet your card needs…NOTE: these are great for men, too! Why not…the DSP is called Urban District – designed for men! PAST CATALOG RESOURCE: Thank you Rachel Tessman for sharing this link to Michael Funk’s website where he has listed all past catalogs. What a GREAT RESOURCE for ideas and the use of old stamp sets. BE sure to put this in a file you can remember….it’s a treasure! Hope you enjoyed what came out of my craft room today. SALE from my previous post EXTENDED BY REQUEST: Sale now Ends FRIDAY February 8th at midnight…hurry and get your free gifts…double dip!!! Place a $50 order and instead of the current offer from me for an embossing folder, you may also choose to get your own Wink of Stella. Place a $75 order and get your choice of sequins, bakers twine and a discount certificate for your next order. PLUS you get all the benefits of the SAB Sale-a-Bration!!! Hope you are signed up for the LOVE buffet on February 12th…thanks for visiting today and please leave a comment!